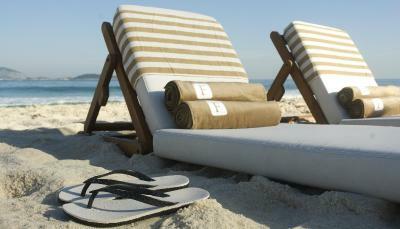 Lock in a great price for Hotel Fasano Rio de Janeiro – rated 9.1 by recent guests! Fantastic location and the most attentive staff. Great rooftop pool! There were some ups and downs during my stay at the Fasano Hotel. The ups included the view of Ipanema Beach from the roof top pool, the mini cheeseburgers and fries were DELICIOUS, MOST of the staff went ABOVE AND BEYOND to ensure that our needs were met, the cleaning staff was GREAT and the little chocolates left in the room were yummy, some of the staff spoke English which helped in planning out activities during the day, the location is within walking distance of shops, bars, restaurants, and other areas of interests. 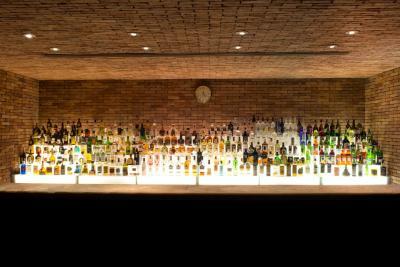 Overall, I felt a familial bond with the staff at the Fasano. We ran into several employees of the hotel while out touring the city and every time the staff saw us, they checked on us to ensure we were ok and to check if we had any questions. For this, I will always appreciate the level of service instilled in most of the employees at the Fasano. The best thing about this hotel is the staff. They all speak English very well. The concierge Igor helped us plan our whole day and had great suggestions tailored to our preferences. The management was also just as great. The roof top pool and lounge has a excellent view and spacious, it greatly improves the hotel experience. Staff. Service.Food. Design. Room much bigger than appears in photos. Spectacular location & view. The service was as good as it gets, from check in, to pool, to the restaurant. Restaurant is verging on Michelin. This place seems to be where the Uber cool come and it reminds me of The Byblos in St Tropez. The concierge service was excellent. I never experienced another hotel with such extraordinary support. 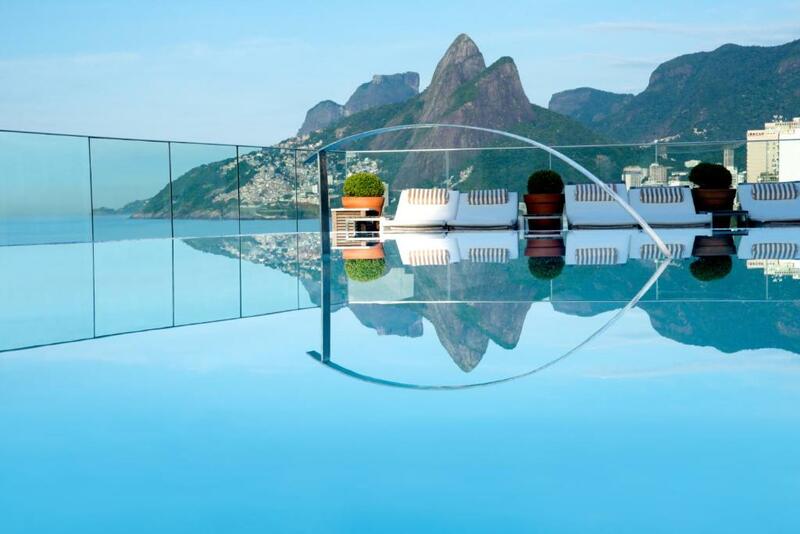 Hotel Fasano Rio de Janeiro This rating is a reflection of how the property compares to the industry standard when it comes to price, facilities and services available. It's based on a self-evaluation by the property. Use this rating to help choose your stay! Boasting a rooftop pool with stunning sea views, Hotel Fasano Rio de Janeiro offers luxurious beachfront accommodations on Ipanema Beach. The property also offers a spa and wellness center. Elegantly decorated, rooms at this 5-star hotel feature a balcony, air conditioning, a flat-screen TV with satellite channels, a mini-bar and a private bathroom with a hairdryer and a bath or shower. 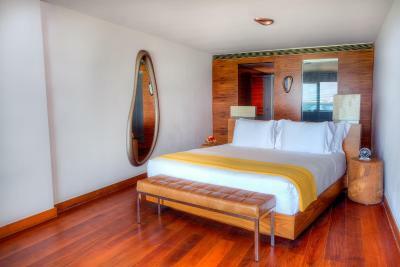 The spacious rooms also offer hardwood floors and high quality wood and leather furniture. At Rio de Janeiro's Hotel Fasano guests can enjoy the distinguished Fasano Restaurant, renowned for its contemporary Italian cuisine. The property is also conveniently located within a 5-minute walk from restaurants serving local and international dishes. After a relaxing visit to the sauna, guests can exercise in the well-appointed fitness center or enjoy a refreshing drink from the bar. 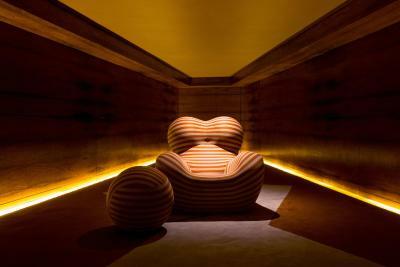 The property also offers massages, a terrace, concierge service, a solarium and a nightclub. 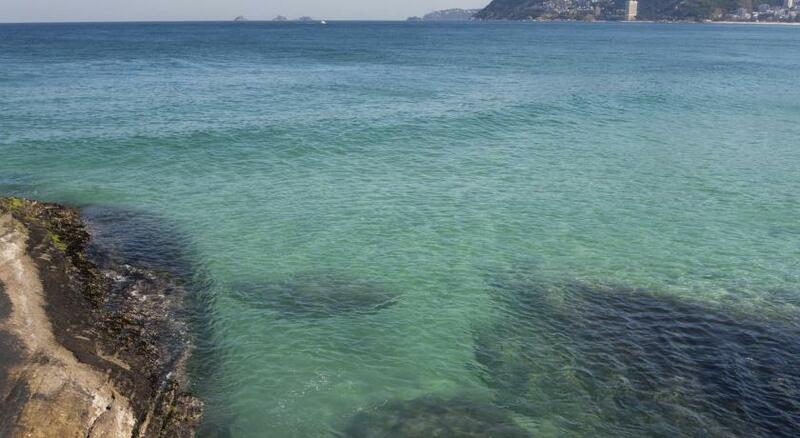 Copacabana Fort is 0.6 mi from Fasano Rio de Janeiro while Lagoa Stadium is 2.5 mi away. Santos Dumont Airport is at a distance of 6.8 mi, while Galeão International Airport is 17 mi away. 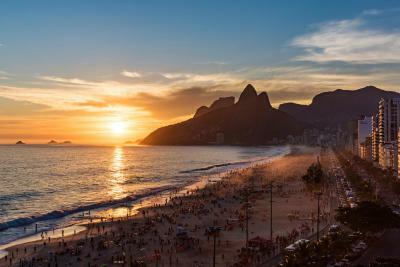 Ipanema is a great choice for travelers interested in beaches, nightlife and sandy beaches. 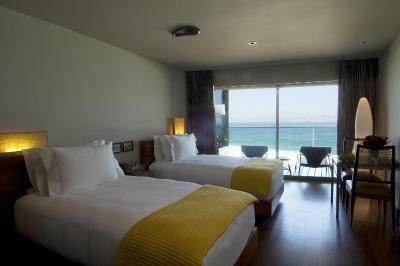 When would you like to stay at Hotel Fasano Rio de Janeiro? This double room has a balcony, air conditioning, a flat-screen TV, satellite channels, a mini-bar, DVD player and a private bathroom with a hairdryer and bathrobes. This twin room has a balcony, air conditioning, a flat-screen TV, satellite channels, a mini-bar and a DVD player. The private bathroom includes a shower, a hairdryer and bathrobes. This double room has a balcony, air conditioning, a flat-screen TV, satellite channels, a mini-bar, DVD player, an iPod dock and a private bathroom with a hairdryer and bathrobes. This double room has a balcony, air conditioning, a flat-screen TV, satellite channels, a mini-bar, an iPod dock and a private bathroom with a hairdryer and bathrobes. This twin room has a balcony, air conditioning, a flat-screen TV, satellite channels, a mini-bar and a private bathroom with a hairdryer and bathrobes. 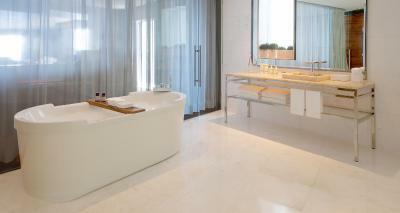 Boasting a bath, this large suite features a balcony, air conditioning, a flat-screen TV, satellite channels, a seating area, a mini-bar, an iPod dock and a private bathroom with a hairdryer and bathrobes. Boasting a bath, this larger suite features a balcony, air conditioning, a flat-screen TV, satellite channels, a seating area, a mini-bar, an iPod dock and a private bathroom with a hairdryer and bathrobes. Located on Avenida Vieira Souto in the heart of Ipanema beach,the hotel combines the glamour and sophistication of Rio’s most coveted address with the Fasano commitment to excellence. Hotel surroundings – This neighborhood is a great choice for travelers interested in beaches, nightlife and sandy beaches – Check location Excellent location – show map Guests loved walking around the neighborhood! House Rules Hotel Fasano Rio de Janeiro takes special requests – add in the next step! Hotel Fasano Rio de Janeiro accepts these cards and reserves the right to temporarily hold an amount prior to arrival. Kindly note that only 1 pet is allowed, upon request. Charges may apply. Please inform Hotel Fasano Rio de Janeiro of your expected arrival time in advance. You can use the Special Requests box when booking, or contact the property directly using the contact details in your confirmation. Hotel bldg itself is older, they need much more renovations. It looks much nicer on pictures. It’s considered 5 star for Rio standards maybe but not for US standards. The daily rate is quite high for Rio in general, but overall it was worth the money. The rooms were fine, they could have been larger but they were comfortable and clean. We requested twin beds and they met our request. Great views from the beach facing rooms. The location and the view were fantastic, great view over the beach and beautiful sunsets, we enjoyed drinks at the roof top pool bar. We didn't eat dinner there but apparently the food is great. The service in the hotel and the pool bar was excellent. Pool can be crowded on a sunny day but just need to get there earlier ! In 2nd floor , noisy first night from club night . Quiet other nights . Superb breakfast , staff exceptional and view from rooftop pool just amazing . It does not worth the money paying and the county view just does not have any view. The location is really good and the stuff are very helpful. 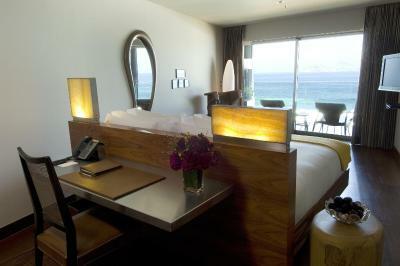 Lovely room,excellent staff, delicious food and fabulous view over Ipanema bay in the gorgeous city of Rio! What more could you wish for? Unfortunately, our credit card, as well as those of three friends staying at this hotel on the same weekend, were cloned. 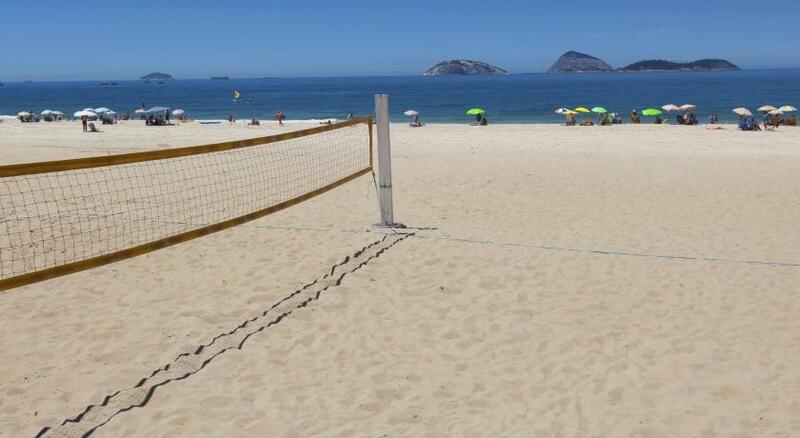 It is a real shame because, in our opinion, it is the best hotel in Rio. Just avoid leaving credit card details at the front desk. Noise levels allowed from other guests late into the night. The overall experience is flawless from beginning to end.